TENGO is smoother, softer, more juicy and now completely vegan. Orange, mango and apricot work together to promote collagen production for healthy and plump lips. TENGO comes with an exterior made of bubinga. An exotic hardwood that varies in colour from golden blonde to orange-mauve with bright copper highlights. 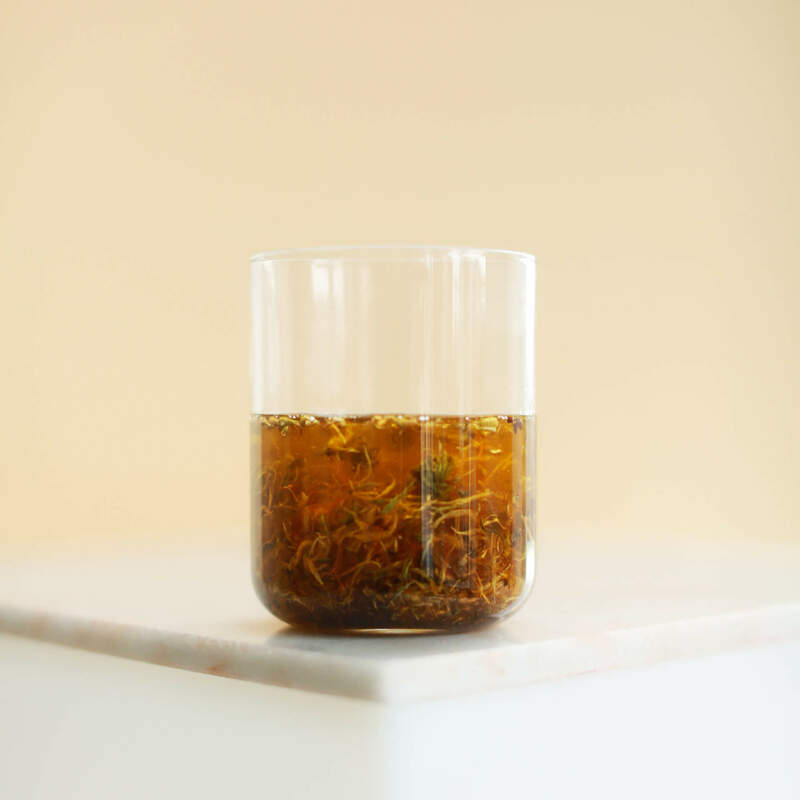 When formulating the TENGO natural lip balm, we infuse apricot oil with calendula for the ultimate repair. 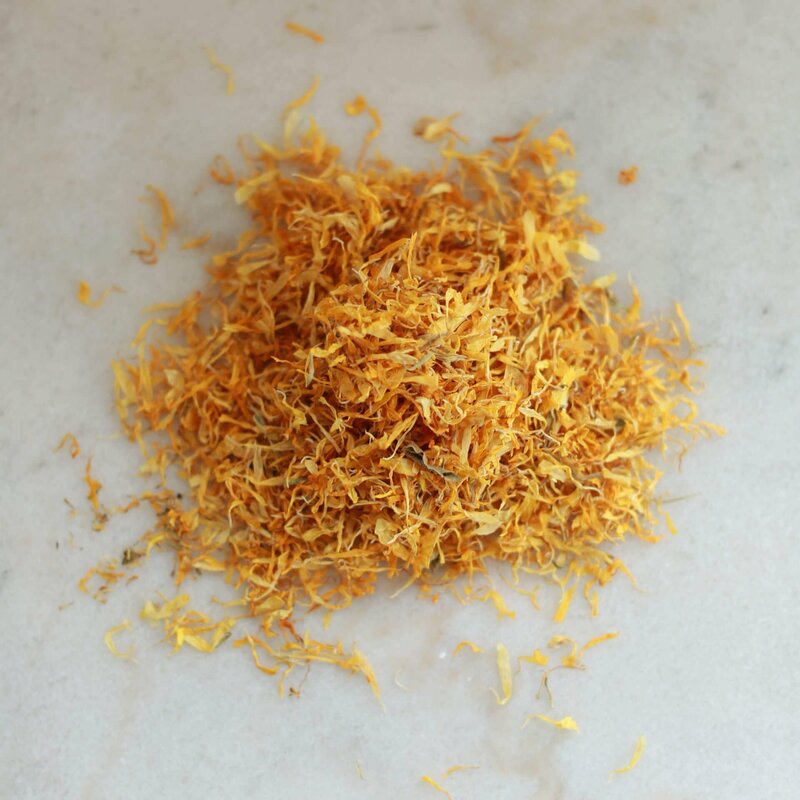 Calendula heals, calms and makes lips super soft. Ingredients: Butyrospermum Parkii (SHEA BUTTER) Fruit, Cocos Nucifera (COCONUT) Oil, Calendula Infused Prunus Armeniaca (APRICOT) Oil, Simmondsia Chinensis (JOJOBA) Seed Oil, Mangifera indica (MANGO) Butter, Persea Gratissima (AVOCADO) Butter, Euphorbia Cerifera (CANDELILLA) Wax, Theobroma Cacao (CACOA) Seed Butter, Copernicia Cerifera (CARNAUBA) Wax, Aloe Barbadensis Leaf (ALOE VERA) Extract, Citrus Aurantium Dulcis (ORANGE) Peel Oil. All the butters for the ultimate moisture. Natural humectant that attracts water to plump lips. Works as a powerful emollient extract close to the body’s natural oil production. Stimulates healing as well as increasing blood flow to boost healthy lips. Waxes that provide a protective layer on your lips. Uplifts the spirit like no other and increases the production of collagen. Tengo lip balm is my favourite lip balm, that I use every day. 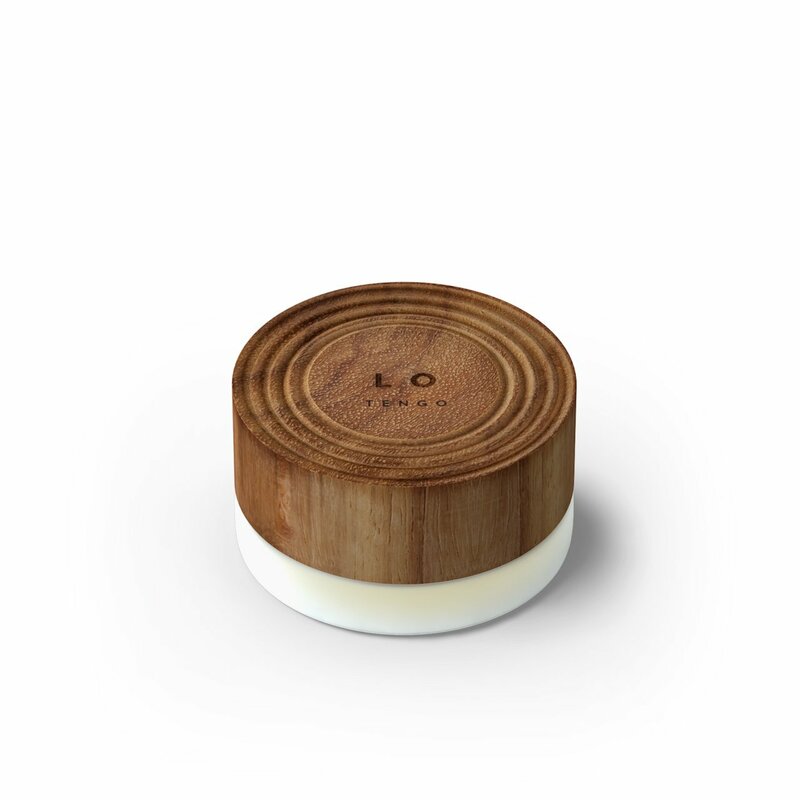 I have been looking for a long time for a pleasant, natural lip balm that comes in non-plastic packaging. Super happy I have found LO Tengo! Smooth, great smelling balm that is firm at the start but becomes smooth and easy to apply when on your finger and lips. Nice light fruity smell. 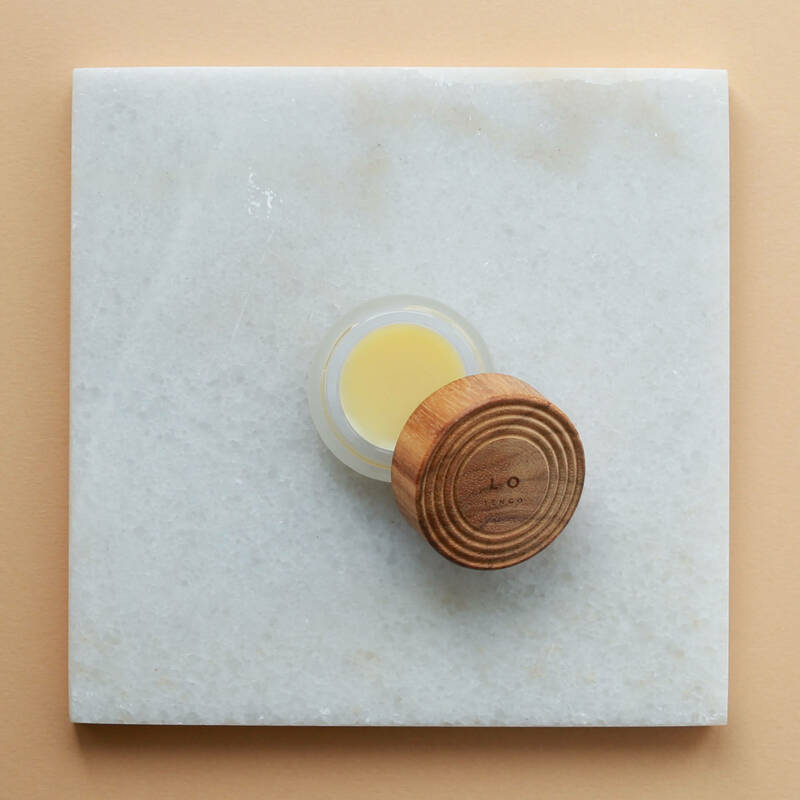 The lip balm comes in beautiful packaging made out of a glass bottom and hardwood screw-on lid. Inside the lid is a piece of cork. All natural materials which I love. I’m happy to pay a bit more money for having this type of packaging. Better for the environment and more pleasant to use and feel in your hands. You only need to use very little balm every time you apply it which is great. It does the job well in making you lips smooth, soft and less dry. LO (VE) TENGO is for me the bet lip balm out there. SIGN UP FOR OUR NEWSLETTER FOR 10% OFF YOUR FIRST ORDER.